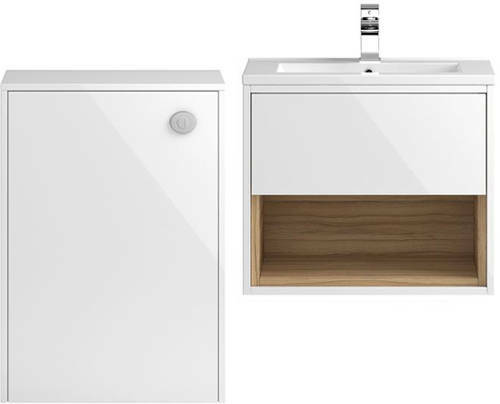 HR Coast > 600mm Wall Hung Vanity With 600mm WC Unit & Basin 1 (White). Hudson Reed Coast wall mounted 600mm vanity unit in white gloss finish with 600mm WC unit and ceramic basin (type 1). Modern 40mm deep profile ceramic basin top (type 1). 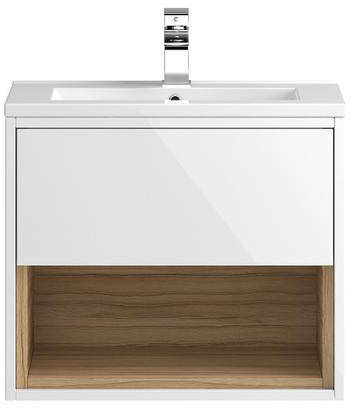 Wall mounted vanity unit with basin (600mm). Floor standing WC unit (BTW pan not included, 600mm). 1 x Soft close, push open drawer. Handy open shelf that's ideal for towels. Stylish handle-less design (push open mechanism). Finish: White gloss & coco bolo. 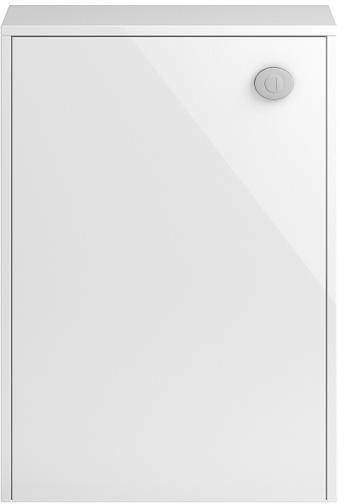 Vanity unit size: 600W x 500H x 390D mm. WC unit size: 600W x 850H x 225D mm (cistern not included). 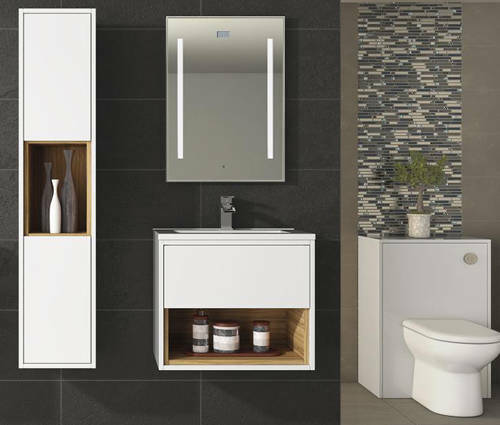 5 Year guarantee: Hudson Reed guarantee these Coast bathroom furniture units for 5 years. Hudson Reed's Coast furniture range combines minimalist look and the latest technology of push open doors and drawers with open shelves. 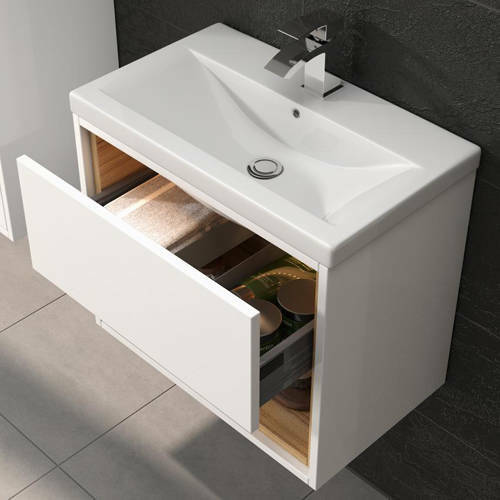 The open shelves contrast with the fascia colour for a high impact look and provide easy access to your bathroom necessities.